1)2 switch control to select activation of heating or cooling. 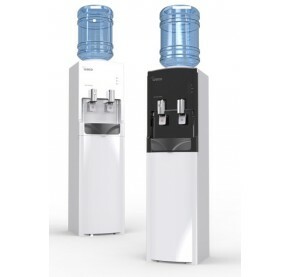 2)Dispenses hotm, cold or room temperature water. 3)Auto cut-off when preset hot/cold temperature reached (energy saving). 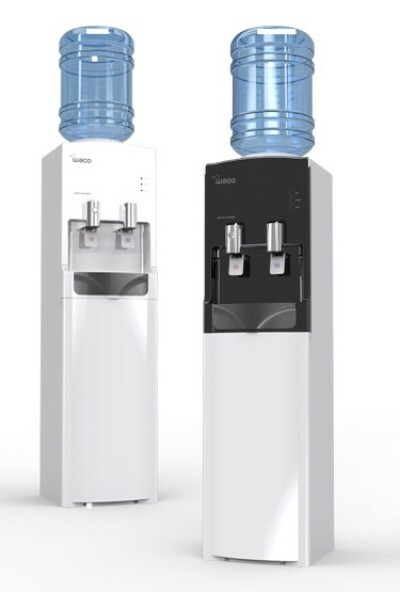 4)Can input water using our mineral water pot or bottled RO, mineral or distilled water. 5)Ideal for home, office, hotel or school use. 1)Sediment Filter - Removes small particles (eg dirt and other minute impurities particles). 2)Pre-carbon Filter - Removes chorine and organic substances. 3)Post-carbon Filter - Removes the dissolved gases and odors through a high quality granular activated carbon block filter. 4)UF Filter (optional) - Removes hamful chemicals, bacteria, vius, etc. 5)Nano PH Alkali Filter (optional) - Produces purified alkali water(pH8.0-9.8).